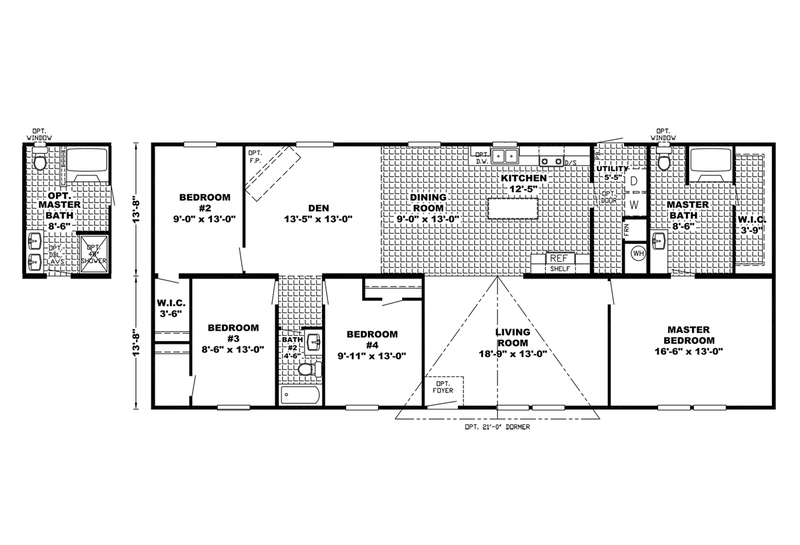 The Stone SIG16763C Customizable single section home with optional kitchen configuration, raised bar in kitchen, living room ceiling beams and master bath to include large soaking tub and separate stall shower. 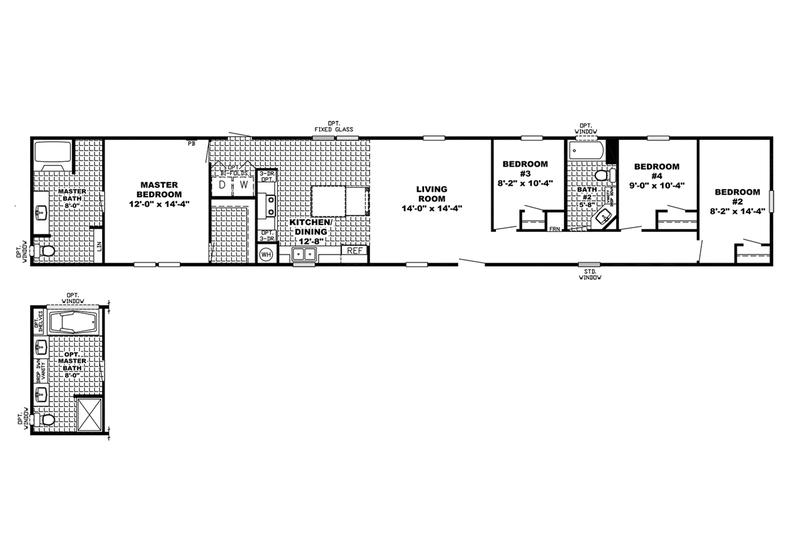 The Armstrong PRF16763P Extra spacious single section family home with beautiful kitchen with lots of handcrafted cabinets, seemingly endless countertop space, separate laundry/utility room, large bedrooms and beautiful baths. 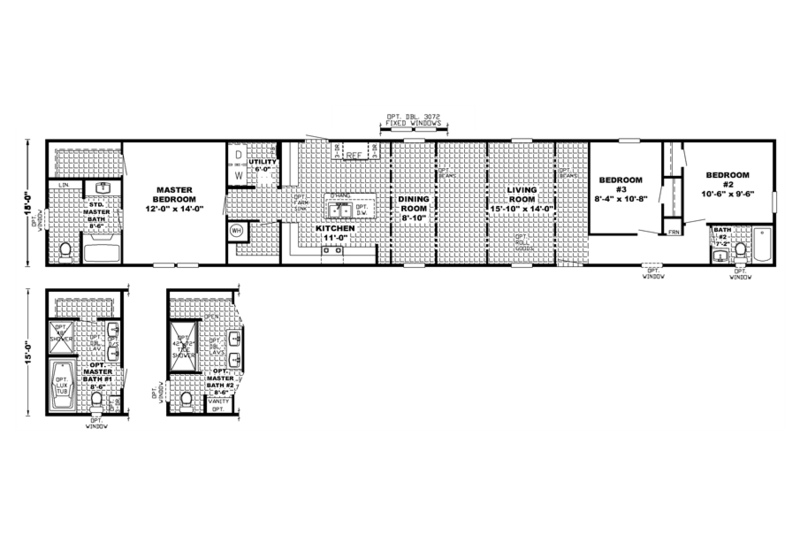 The Ashford PRF16863B Maximum size (16’ x 86’) single section home beautifully designed and appointed, spacious living room and dining room available with distinctive ceiling beams, large bright modern kitchen with island, king size bedrooms, luxurious master bath options, an abundance of closet, pantry and storage capacity throughout. 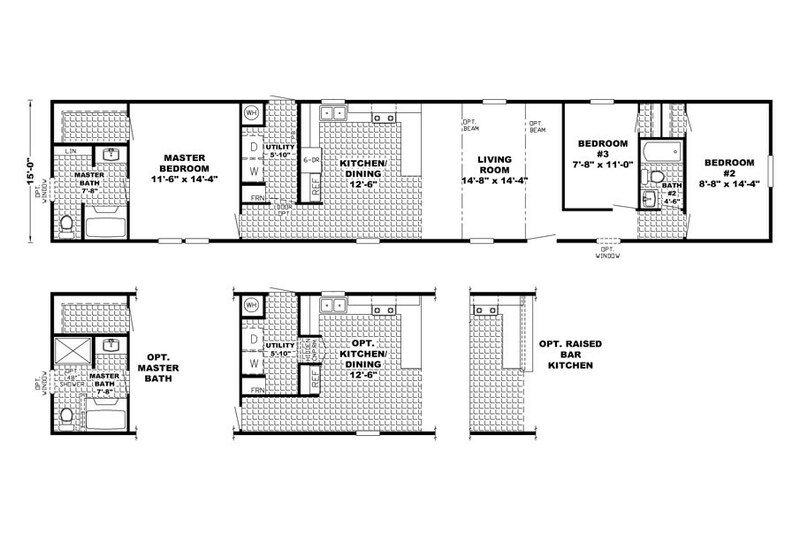 The Baker PRF28764D High quality value priced expansive family home features spacious living room, beautiful modern kitchen with island, large family style dining room adjoining extra large den/family room, four large bedrooms to accommodate king size furniture, luxury master bath, and lots of extra storage capacity throughout home. The Biondi PRF28684A Skillfully designed large family home with expansive living room open to beautifully well equipped and appointed kitchen with island, large dining room, adjoining den/family room, utility laundry//mudroom, four large bedrooms with lots of closet and wall space for preferred furniture arrangements. 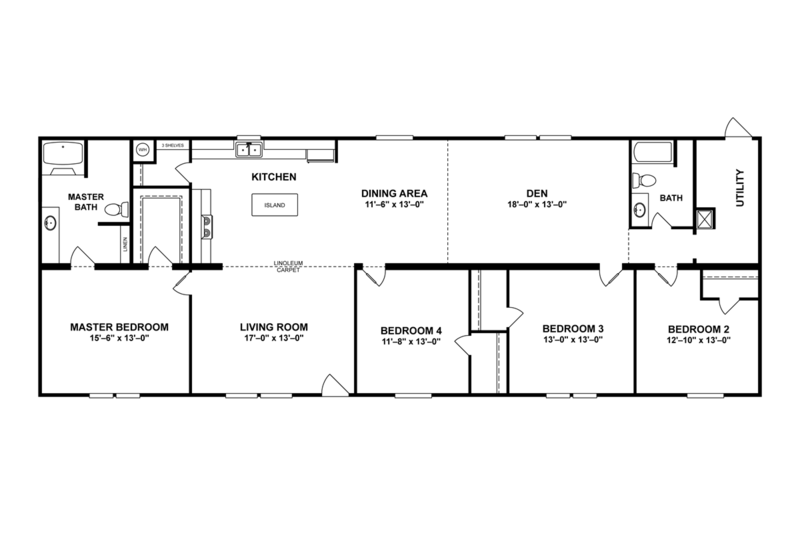 The Bowman PRF28603A Ideal proportionately designed floor plan with zero wasted hallway space, large living room opening to modern well equipped kitchen, family size dining room, extra large den, king size bedrooms and beautiful baths. 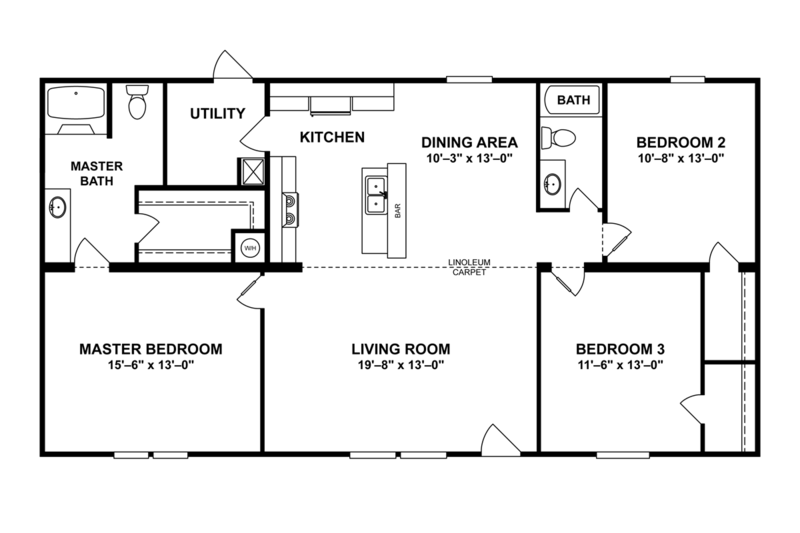 The Callister PRF16864A Affordable quality built single section family oriented, deal floor plan with large master bedroom and ensuite bath privately located away from three guest bedrooms and second bath, spacious living room open to bright modern well equipped kitchen with lots of cabinets and countertop space, abundant closet and storage capacity throughout. 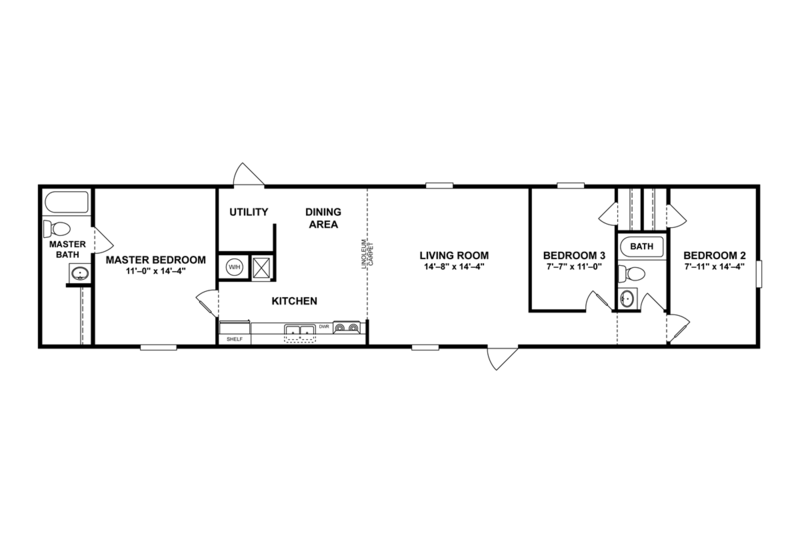 The Cameron PRF16663A Midsize single section home with big home features including spacious living room, beautiful open kitchen/dining area, utility/laundry room at rear door exit, large guest bedrooms and privately located master suite and roomy bath. The Christensen PRF28704A Beautifully crafted four bedroom plus den home loaded with much wanted features including expansive living room open to large kitchen boasting massive island work station/serving/snack bar, walk-in pantry, adjoining den/family room, extra large utility/laundry/mud room, four large bedrooms, beautiful well appointed baths, lots of closet and storage capacity throughout this well conceived home. 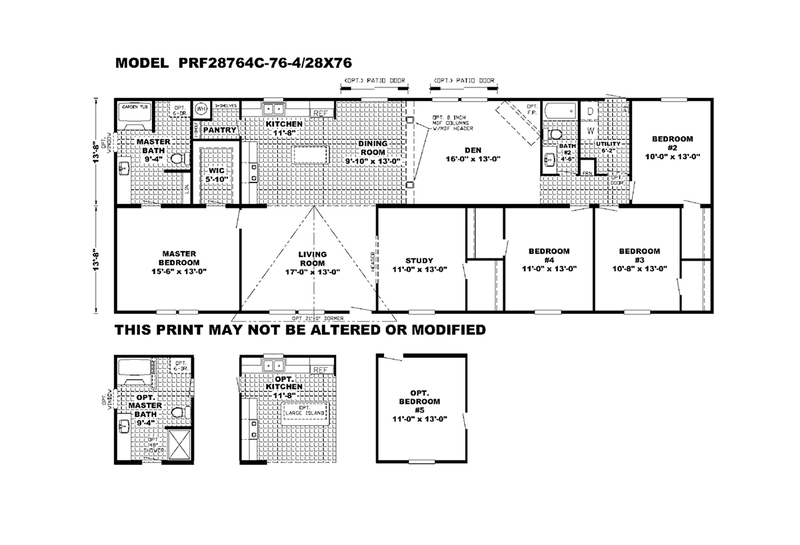 The Christoff PRF28644A Popular floor plan features bright spacious living room, modern well equipped island kitchen, adjoining dining room and den, four king size bedrooms, three walk-in closets and available optional master bath with large soaking tub, separate stall shower and dual sinks. 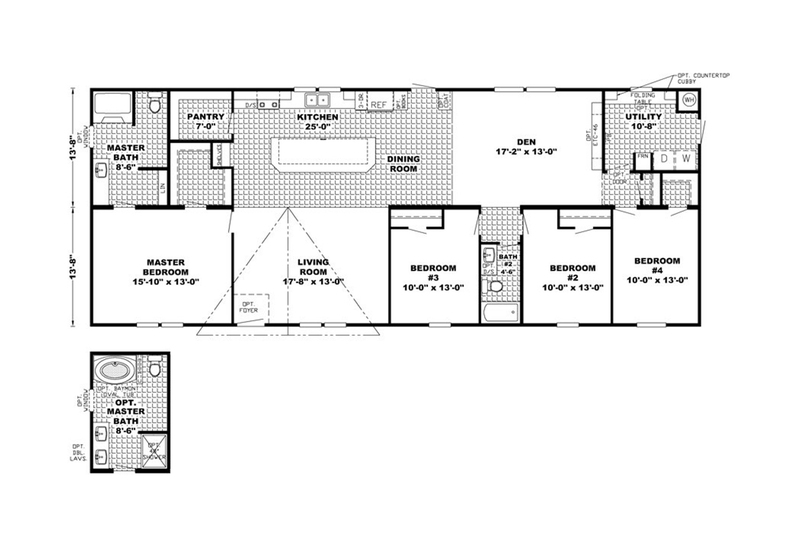 The Craig PRF28764C Homebuyer preferred customizable large family home with four or five bedrooms, study off spacious living room, large den/family room, chef’s style island kitchen with walk-in pantry, large bedrooms, multiple walk-in closets and optional glamour master bath, kitchen layout and fifth bedroom option. 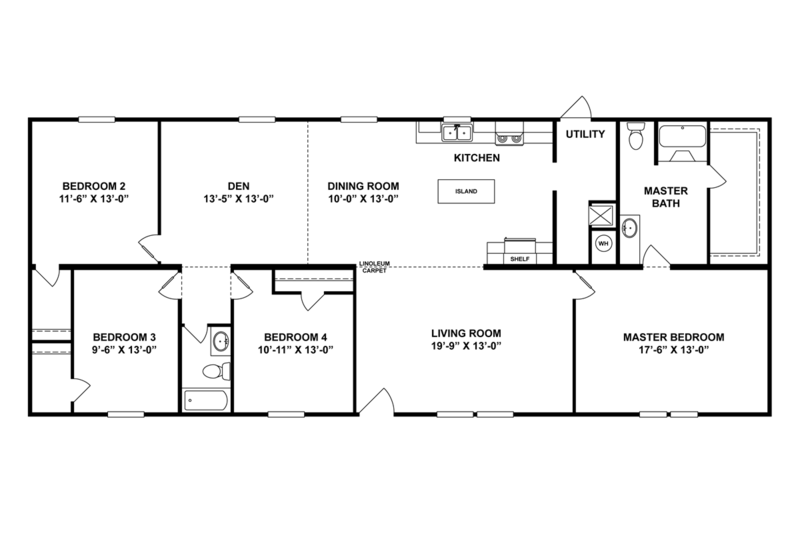 The Crawford PRF28523A Skillfully and efficiently designed midsize three bedroom home without space wasting hallways, extra large bedrooms with walk-in closets, spacious living room open to beautiful bright modern island kitchen.